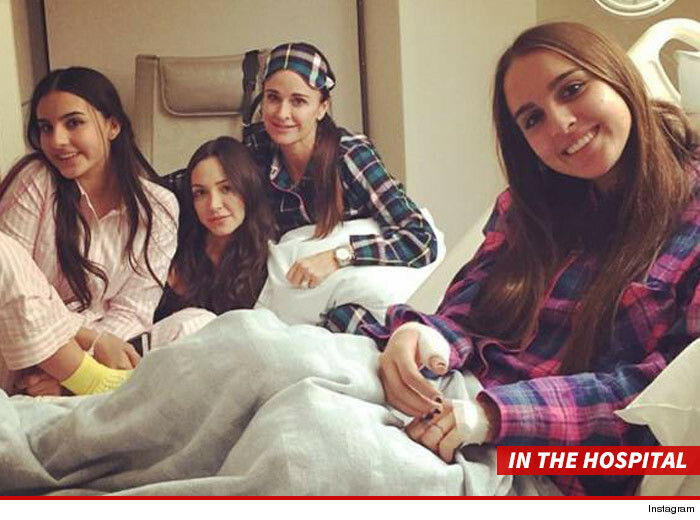 Kyle Richards' daughter was the victim of a vicious pit bull attack ... a dog owned by Kyle's own sister Kim, and the damage was so severe it required multiple surgeries. The attack occurred early Saturday at Kim's L.A. area home. Kyle, Alexia and other members of their family had been inside the house for a while ... when the dog went into attack mode out of nowhere. The dog bit Alexia numerous times, but the worst was on her right hand ... where it bit through her thumb right to the bone. The pit bull has a history of biting. It attacked its trainer on an episode of "Real Housewives of Beverly Hills" ... and it's also been very aggressive toward other dogs. Kim is still keeping the animal at her home ... as the Dept. of Animal Control was never called. We're told they wanted to keep the incident "private." We reached out to Kim and Kyle ... so far, no word back. "Real Housewives of Beverly Hills" Trailer -- Lisa Rinna Explodes & Lisa Vanderpump Gets Slapped! Adrienne Maloof Reveals Why She Returned to "Real Housewives of Beverly Hills" -- And What She Thinks of the New Blood!